What do you store in your shed? Lawnmower? Garden tools? Power tools? This sort of equipment can easily be worth several thousands of pounds, so it is shocking at how many people store equipment like this in sheds with nothing more than a padlock or sometimes just a latch! 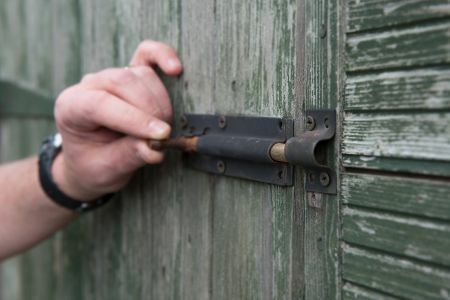 Sheds are a real treasure trove for burglars as they can often go about their business undisturbed, so don’t make it easy for them and fit the best quality shed door and lock that you can afford. They’ll soon turn around and seek an easier target when they see this. Nipping to the shop? Don’t want to miss that important delivery? It’s tempting to leave a note on the front door isn’t it, just to say you’ll be back in 15 minutes. But to a passing burglar (and yes there are such things, they’re opportunists) it is an open invite telling them you’re out and you won’t be back for a few minutes. That’s all it takes a good burglar to get into your house and relieve you of cash, jewellery and valuables. If you’ve just bought a new TV or other piece of high value goods, don’t leave your old TV out for the binmen to collect, or the packaging your new TV came in. Think about it - it basically tells any opportunist passing by that there is a brand new, high-value piece of equipment in your home. Instead, take things like this to the tip immediately, and don’t give burglars clues that you have equipment worth stealing. Do you know everyone well on your Facebook friends list? If not, and your privacy settings aren’t well managed, don’t go posting your holiday snaps whilst you’re enjoying a two week holiday in Benalmadena. 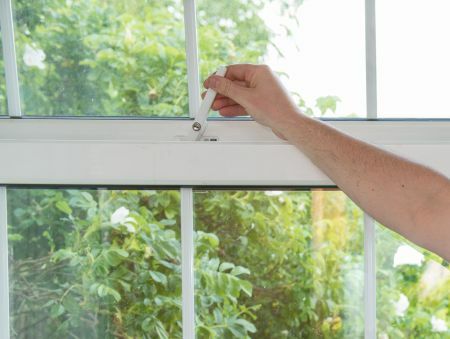 These could easily be seen by an opportunist thief who will know your house is empty and they have all the time in the world to clear out all your worldly possessions. That’s not going to be a nice thing to come home to, is it? MPL Locksmith Training is one of the UK’s leading locksmith training companies.